The trash can holders are one of the must haves of the houses as they accumulate all the clutter of the house and keep our home sweet home neat and tidy. But being smelly and unpleasant to watch they should be housed at such a place where none can see it. we here have a very smart and genius idea to store and hide the outdoor trash can using the pallets so that this project costs u zero putting no burden on the pocket. 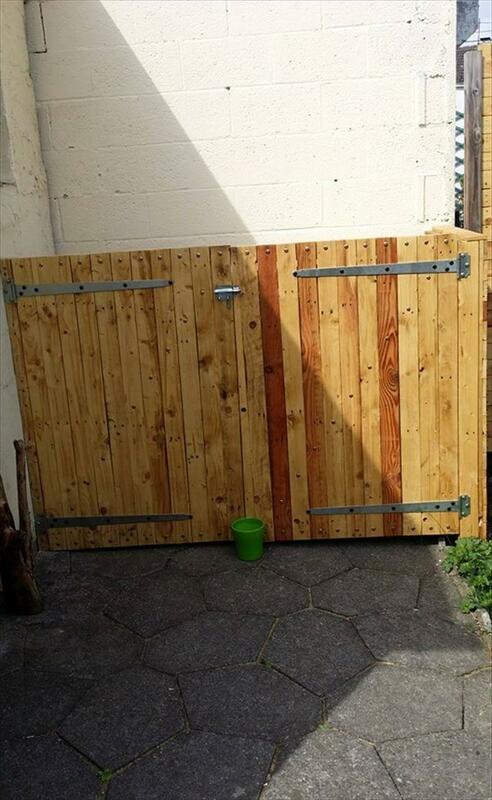 Just check out this DIY pallet trash bin storage fence made in the form of a little barring door installed with the pallet made planks and slats. So it is the trash bin or garbage disguise of your home so you can maintain the pristine image of your DIY home decor. You can paint this fence to look more a decorative and good looking spot otherwise the simple brown stain is enough to finish it nicely. 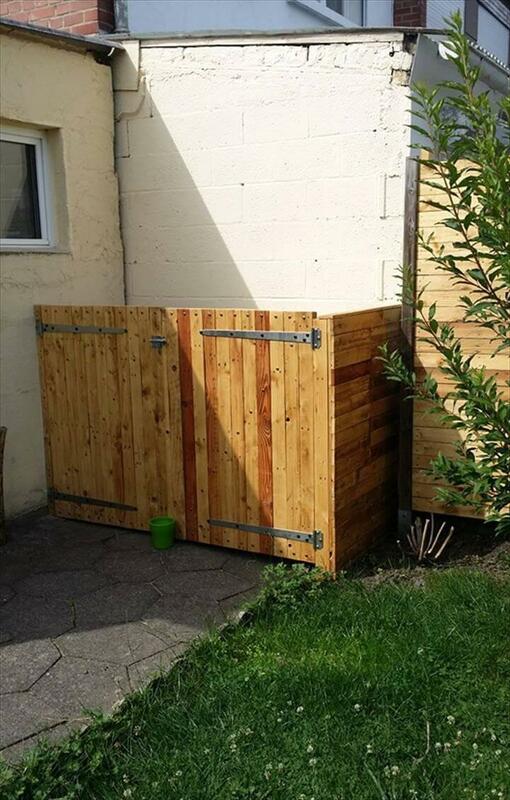 Trash cans in the houses do not give a pleasant look for being full of garbage and clutter so vanish them from the sight with this pallet made door like disguise spot in your outdoors in a corner space. Pallet cut slats or planks have been vertically stacked to each other and then fomred into door like shapes and have been joined to each other and to the wall with long metal hinges.A lock is also provided so that kids can not approach it.